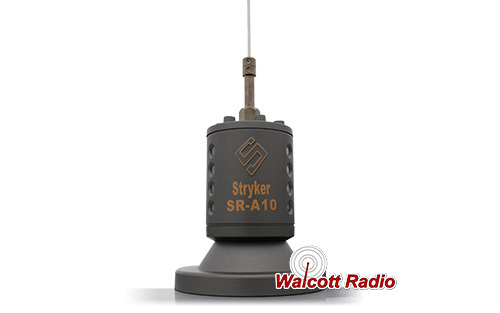 Introducing the magnetic version of the very popular Stryker SR-A10 Warthog CB antenna. Included with the antenna is a magnetic base with a 5" diameter magnet, meaning this antenna will NOT come off no matter how fast you're driving. 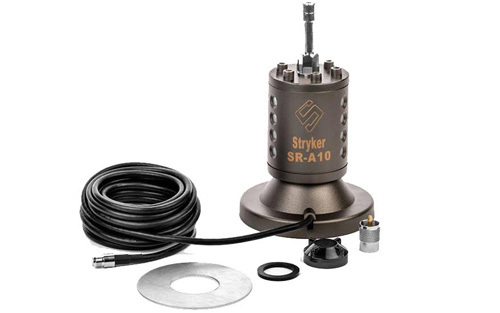 Rated at 10,000 watts, the Stryker SR-A10MM CB radio magnetic mount antenna will handle whatever you want to throw at it. However, from our experience, you may want to keep the power output on your 10 meter radios below 150 watts with any magnetic antenna. 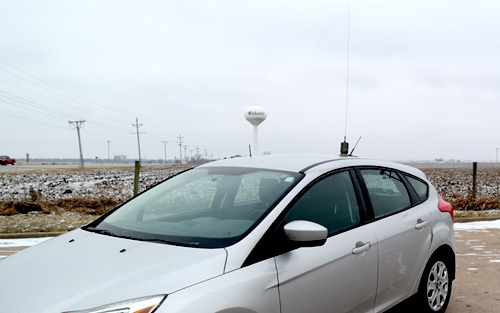 High powered radios + magnetic antennas mean likely damage to the paint job on the body. If you've got a radio that has around 150 watts or less, you should be fine. The load coil is removable from the magnetic base, so you can keep the magnet in place and just remove the long load coil + whip when not in use.